Jab Aap Link Facebook Par Share Karte Hai To Aapko Yeh Error Aate Hai? Sorry, this post contains a blocked link. We believe the link you are trying to visit is malicious. For your safety, we have blocked it. We can’t review this website because the content doesn’t meet our Community Standards. If you think this is a mistake, please let us know. Facebook Par Website Ka Link/URL Block Kyu Hota Hai? Facebook Blocked Link/URL Ki Appeal Karke Unblock Kaise Kare. Facebook Par Aapni Website Link Ko Ek Sath Jyada Baar Share Na Kare, Agar Aapko Sharing Karni Hai To Kuch Time Ka Gape Dekar Sharing Kare Lagataar Sharing Karne Se Link Block Ho Jata Hai. Agar Aapne Link Kisi Group Me Post Kiya Hai Jo Aapke Website Se Bilkul Bhi Related Nahi Hota, Aise Me Log Aapke Post Ko Report Karte Hai Jisse Aapka Post Spamming Ho Jata Hai Or Facebook Action Lekar Usse Block Kar Deta Hai. Scam, Malicious Links Like Phishing, Hacking Related Aise Links Aasani Se Facebook Analysis Karke Usse Block Kar Deta Hai Aise Me Jaruri Hai Facebook Ko Website Ki Puri Identity Dena. Blocked Website Link – Yaha Par Aapko Sabse Pahle Jo Box Milt Hai Usme Sharing Blocked Website Ka Link Bharna Hoga. Example Appeal – I don’t want to make any spam and there was a mistake because of a spam app my website banned here next time i will be careful, kindly accept my appeal and unban it from server. 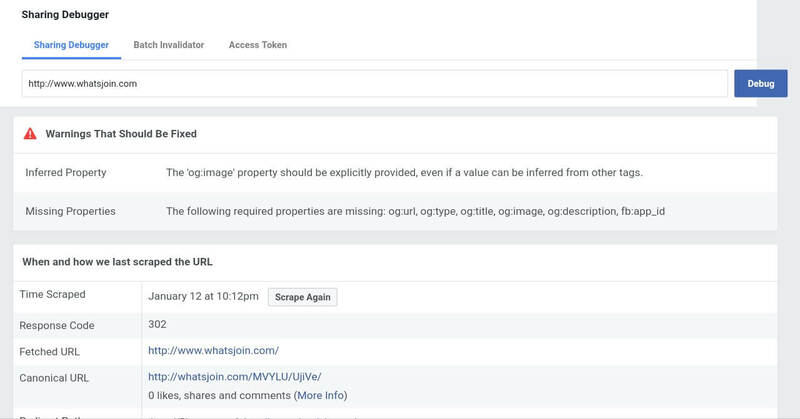 Facebook Ne Links Ko Analyze Karne Ke Liye URL Debugger Tool Banaya Hai Jisme Aap Kisi Link Ko Debugging Karke Uske Errors Find Kar Sakte Hai, Facebook Aapke Website Link Ko Padhta Hai Or Link Unblock Karne Ke Liye Kuch Error Fix Karne Ko Batayega. 1] Sabse Pahle Niche Diye Gye Facebook Link Sharing Debugger Tool Par Jaye Uske Liye Niche Diye Gye Button Par Click Kare. Yeh Karne Ke Bad Aapka Sabhi Bhi Link Block Nahi Hoga, Or Sabse Pahli Baat Yahi Hai Ki Link Url Facebook Block Karta Hai Usme Sabse Badi Galti Hamari Hoti Hai Jisse Hum Fix Nahi Karte, Dosto Agar Aap Yeh Sabhi Link Blocked Solutions Ko Follow Karte Hai To Aap Bhi Facebook Block Link Or URL Unblock Kar Sakte Hai. PowerBank Safety Tips : Kya Powerbank Se Mobile Charge Karna Chahiye? bhai facebook appeal link kam nahi kar rahi dusri link do na?